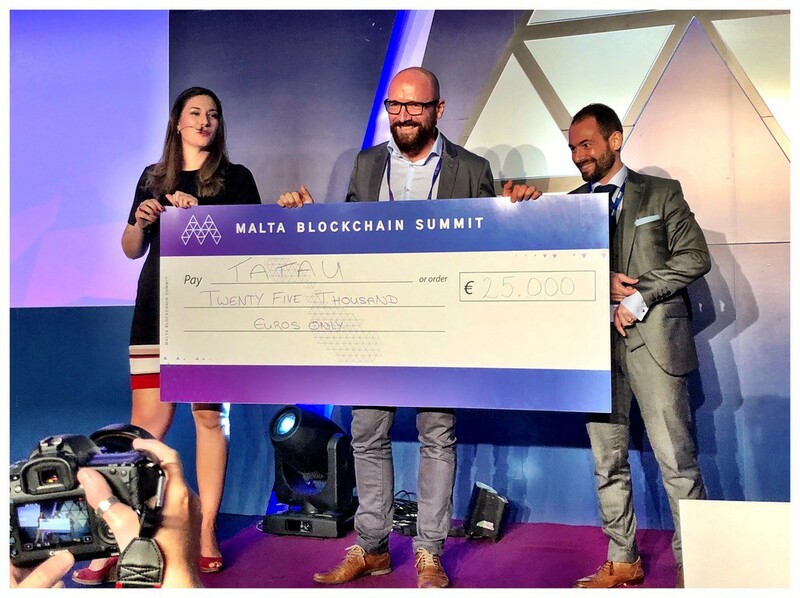 Tatau, supplier of the world’s first blockchain-based distributed supercomputer for Artificial Intelligence, was announced on Friday as winner of the Malta Blockchain Summit pitch competition. The win, which represented the fourth international award for Tatau in just two weeks, places the company as a firm favourite and leading investment opportunity for blockchain experts and technology investors from the Middle East to Europe. Tatau topped a field of 20 international ventures to take out the win at the event attended by 8,500 tech developers, investors and industry experts from all over the world. "Being selected in first place by a panel of European-based investors represents strong validation of Tatau’s business model and market opportunity as well as recognition of the team and the progress to date with product and customers," said Martyn Levy, Co-Founder of Tatau. Tatau’s supercomputing platform will capture the immense quantity of latent compute capacity and make it available to the increasingly hungry AI industry more cost-effectively than the traditional compute providers. Tatau sources its compute supply from existing GPU hardware, typically found in crypto mining and gaming infrastructure data centers. This removes the financial and environmental cost of building and maintaining new data centers. “Significant capital has been deployed over the last few years to build GPU-based data centers for activities such as crypto mining. However, the returns from mining are not meeting expected and necessary hurdle rates and miners are seeking alternative revenue streams and higher yields. Tatau is able to provide them with that,” said Andrew Fraser, Tatau Co-Founder & CEO. Fraser further explains that Tatau uses existing distributed GPU-based resources to provide cost-effective supercomputing to AI companies. “In short, Tatau is unleashing AI innovation 1000 GPUs at a time,” said Fraser. The Malta win follows a successful October for Tatau with two back-to-back awards earned during the World Blockchain Summit in Dubai, recognition by NZ’s Technology Investment Network as a ‘Rising Star’ award winner, and first AI compute customer announcement. “We’ve known since day one that Tatau has a significant and timely market opportunity and that our team is well-placed to execute on that — to have repeat validation from global experts as a stand-out opportunity is hugely motivating for the team,” said Levy. Tatau is mid-way through is Private Pre-Sale/Series A round, which follows completion of its oversubscribed USD 1.5m Seed Round in April 2018, launch of its supercomputing platform in August 2018, and announcement of first customer in October 2018. Tatau is now in discussions with strategic investors and is on track to release a beta version of its platform early next year with first commercial release planned for June 2019.